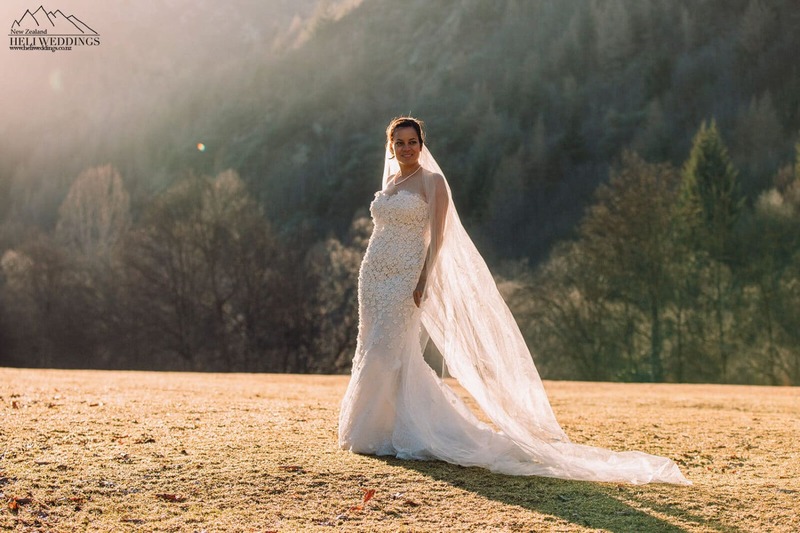 Deborah and Edward came over from USA for their Elopement winter wedding in the mountains. We started the day with a first look outside where they stayed at the Hilton, Queenstown. A short drive later we were at the hangar to meet Glennys our wedding celebrant and the pilot for the day. We took off and flew across the lake to Cecil Peak on a stunning winters day. We landed on the snow and walked out to the edge of The Ledge for the Wedding ceremony. After the ceremony they celebrated with bubbles and we got straight into the photos around the Ledge before heading back into the helicopter for another flight. We across the lake again to The Remarkable’s and landed once again in the snow for more photos. Back down on the ground we headed out to Lake Hayes and Arrowtown for more photos before returning back to The Hilton. Sam & Ben had a great spring day for their Destination Heli Wedding up The Ledge, Cecil Peak here in Queenstown.